Perfect place to immerse yourself in marine science without getting your feet wet! 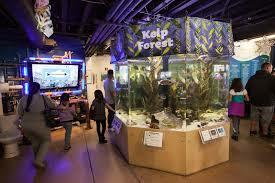 Santa Monica Aquarium contains more than 100 species of marine animals and plants. The Dorothy Green Room features live and interactive exhibits about local watersheds, and short educational films on the weekends. The Kid's Corner provides books, games, and a puppet show. Don't miss this chance to learn about the area's ecology and staggering evidence of how pollution is affecting ocean life. You can touch many sea creatures including starfish, crabs, and sea cucumbers. There is a coloring station and interactive videos for older children. There are 2 restrooms inside as well with change tables for babies. 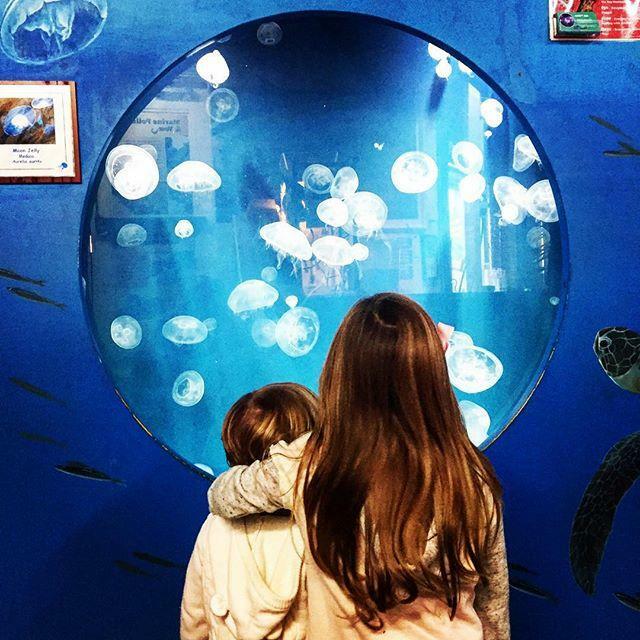 The current exhibits are: seahorses, touch tanks, rocky reef, Kelp Forest, Tidal Surge, Dorothy Green Room, Sea Jellies, Under the Pier, Sharks, Catch of the Day, and Kids Corner. If you are driving there’s parking on the deck of Santa Monica Pier, the first 90 minutes are free. Parking per day is $12-$17.50. If you are using public transportation you may use this website to get to there. If you are using the Hop on Hop off Bus, you must get off at stop 57 from the Yellow route. 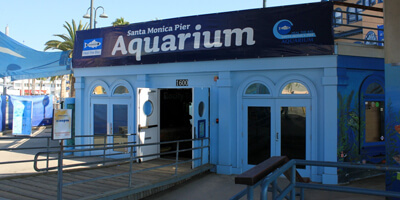 The Aquarium can be tricky to find—look for it tucked under the eastern end of the Santa Monica Pier bridge along Ocean Front Walk. Follow the colorful seascape murals that cover the outside walls. Take as many pictures too!